along more God-honoring values. 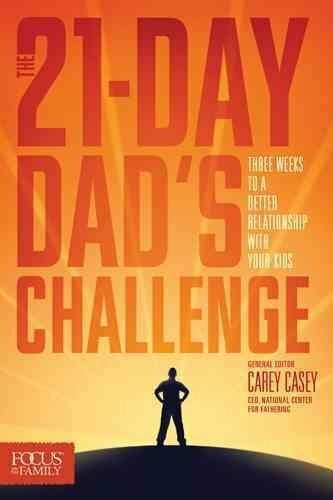 But life gets in the way, and before you know it you’re waving good-bye to a son or daughter and wishing you could try that fathering thing again.The 21-Day Dad’s Challenge features a simple, practical tip for each day of the next three weeks—along with a quick, easy way to try it out. Not enough to weigh you down; just enough to make a difference.You’ll be challenged by the best: Tony Dungy, Josh McDowell, Randy Alcorn, Carey Casey, Jim Daly, and more.No matter what your child’s age, make each day count with in-person loving, coaching, and modeling—starting with the next 21!